Careful planning is a key to quality research. 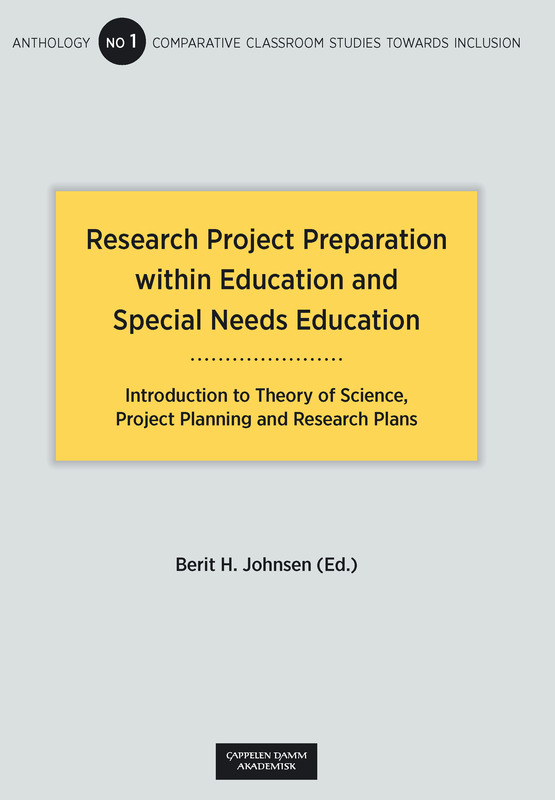 This book explores essential elements in the process of preparing a research project and presenting a realistic research plan. It is a contribution to those who intend to apply for PhD fellowships or for international cooperation programs as well as for self-financed studies. Part one contains three articles. The first presents an example of European comparative classroom studies in the context of the selected topics of this book. The two next articles give an introduction to theory of science and discuss a selection of essential philosophical aspects related to educational Research. Part two contains a discussion of the emergence and development of doctoral programs from medieval to present time with a glance towards further Development. Part three focuses on how to prepare and present research plans through an article based on interviews with senior researchers and three examples of successful PhD research plans. Part four consists of nine articles describing and discussing research plans in a joint international comparative classroom studies project towards inclusion. The anthology aims to update practicing and upcoming international researchers within education and special needs education and related fields. With the current fast growing number of international research cooperation programs and doctoral fellowships, the book offers insight into the changing history of recruitment of researchers through a steadily changing Europe. Thus it is also a contribution to reflections on the on-going Bologna process of higher education.